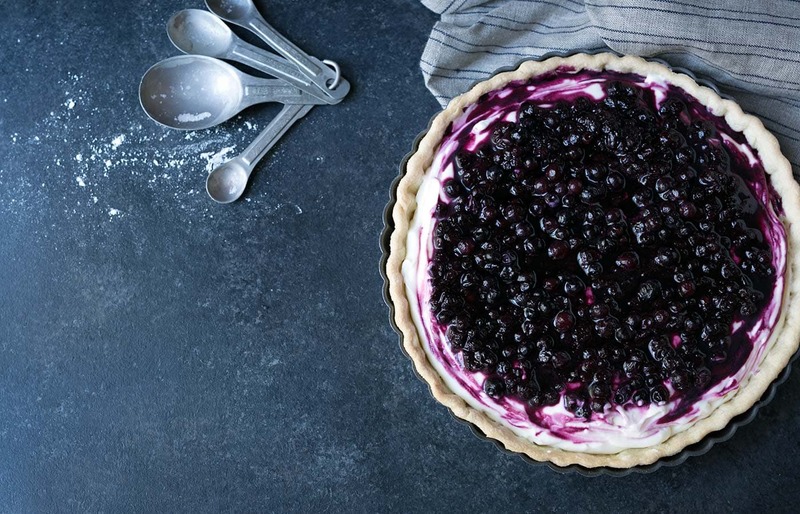 This Wild Blueberry Lemon Cream Tart is surprisingly light and delicate. Served chilled or at room temperature, it’s a perfect summer dessert. 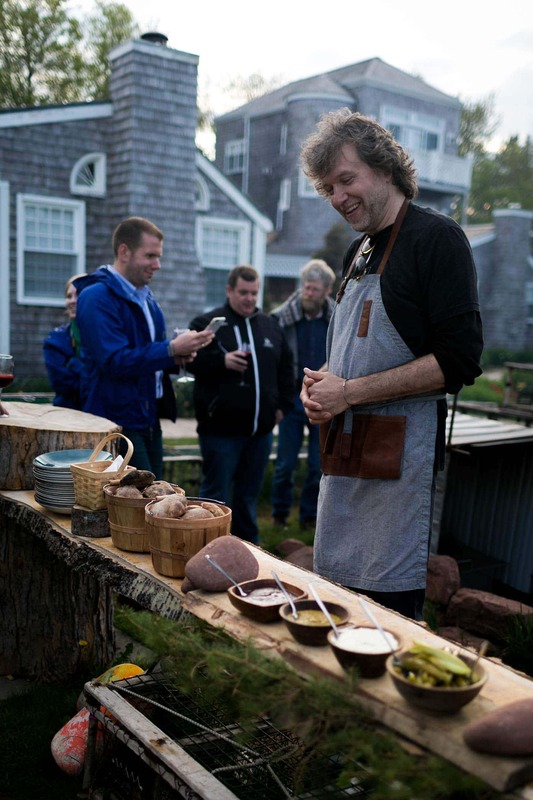 When Wyman’s of Maine invited me on a sponsored press trip to Prince Edward Island, I immediately said yes. 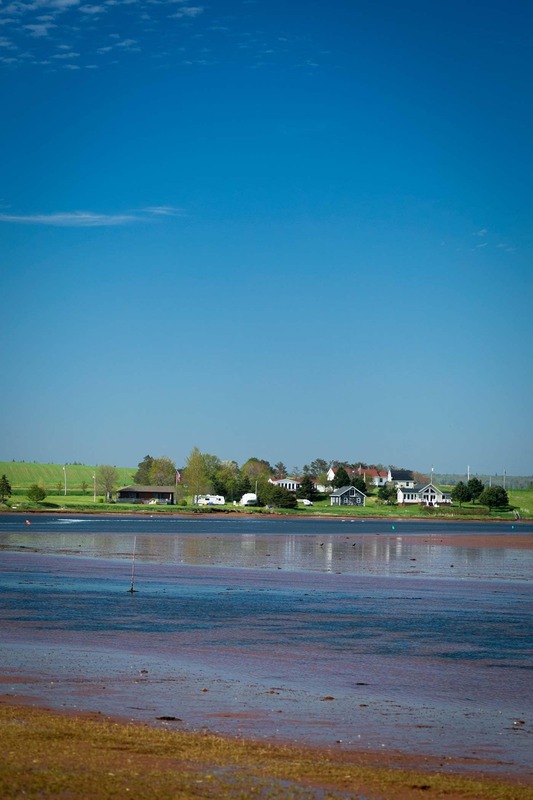 As a native Marylander, I love shellfish, and PEI is known for having some of the best lobster, mussels and oysters. That’s the selfish reason I agreed; I won’t lie. 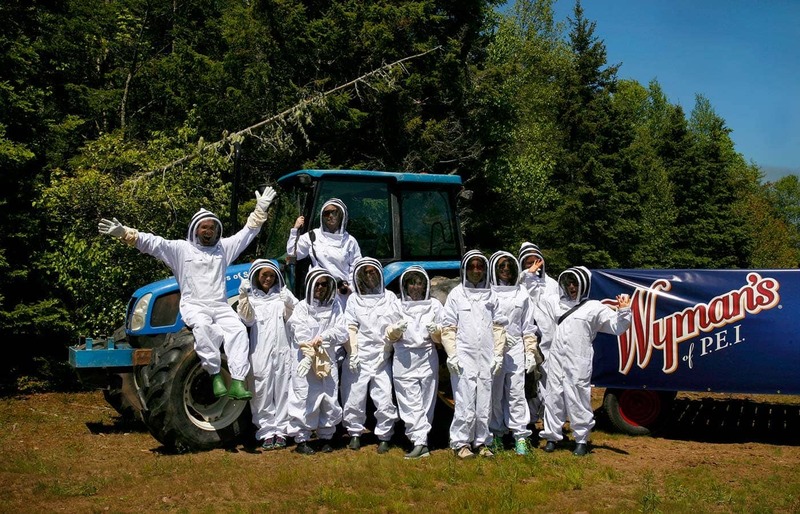 However, I was also extremely intrigued by the actual purpose of the trip: to visit Wyman’s wild blueberry farms, and learn about the company’s efforts to combat the declining honeybee population, which directly impacts berry pollination. Note: This is a very photo heavy post. The recipe is at the bottom! 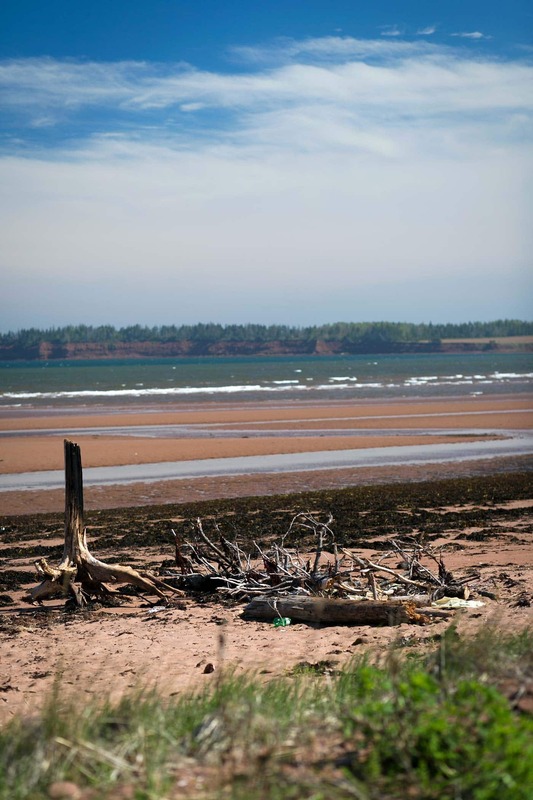 I have to start by noting that Prince Edward Island is absolutely stunning. It’s a calm, quiet town filled with picturesque views. It has a pastoral landscape, beautiful reddish white sand beaches, ocean coves, rolling hills surrounded by lush woods, and red soil that reminds me of the Sedona red rocks. I’d love to get back there sometime soon for an extended weekend getaway. 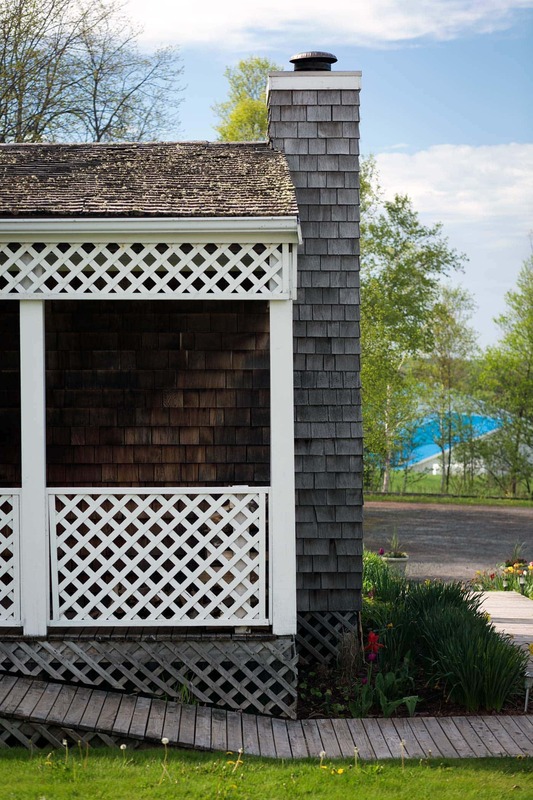 It’s the perfect place to rent a cottage by the waterfront and relax with a book. 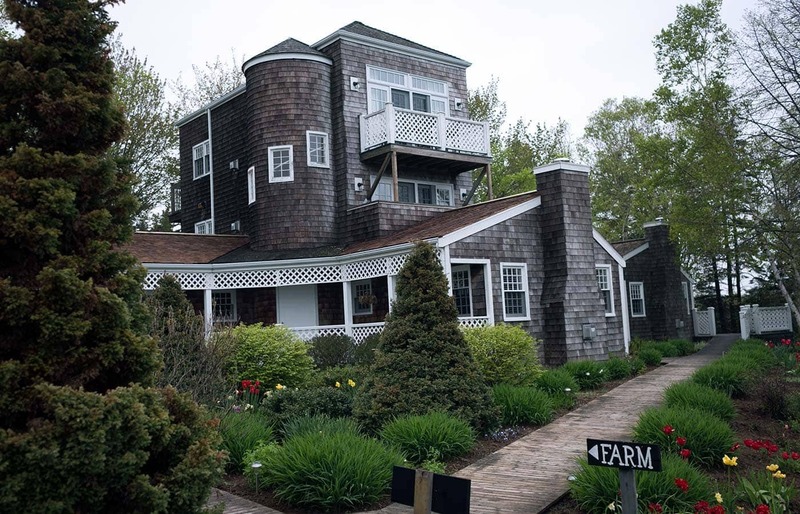 We stayed at The Inn at Bay Fortune, a quaint waterfront retreat owned by celebrity Chef Michael Smith and his wife, Chastity. 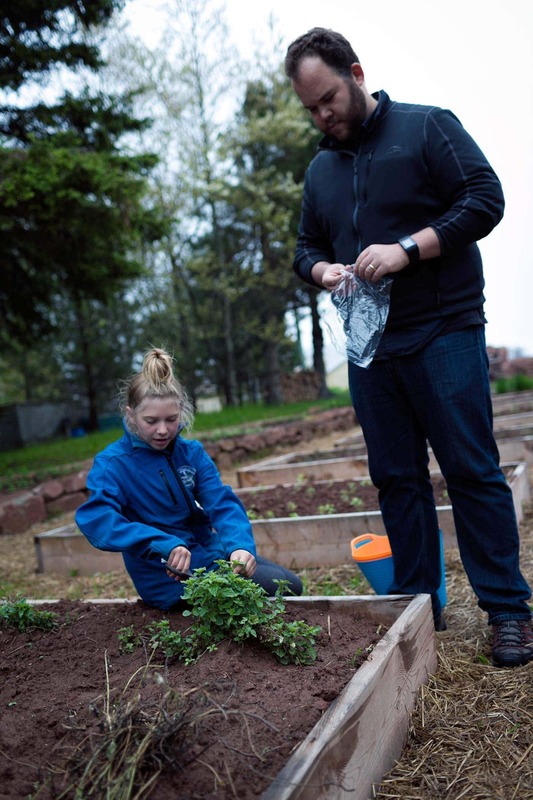 In addition to lovely accommodations, the inn has an impressive farm that provides the restaurant with a wide variety of ingredients. 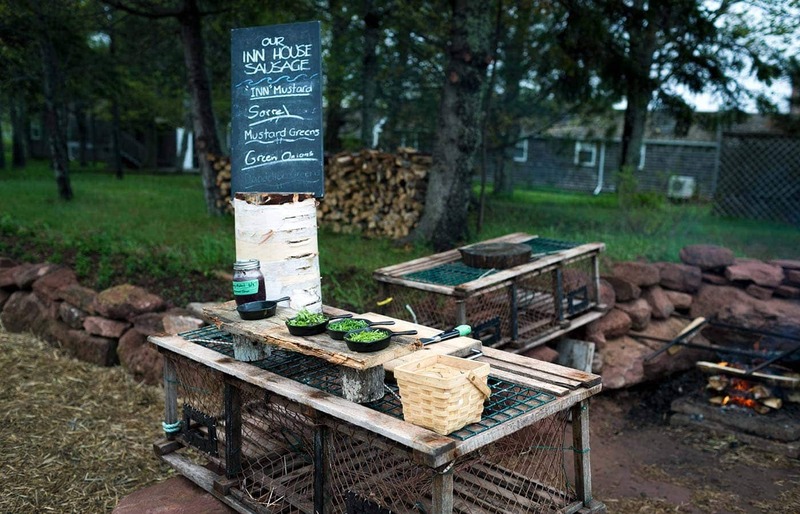 Fireworks, the inn’s restaurant, features all local ingredients that are cooked over a smokey fire. We were treated to some truly incredible meals during our stay. Touring the Wyman’s of PEI wild blueberry factory was fascinating. Prior to the trip, I didn’t understand the difference between wild (lowbush) and cultivated (highbush) blueberries, which are what you’ll find for sale in clamshells at the grocery store. 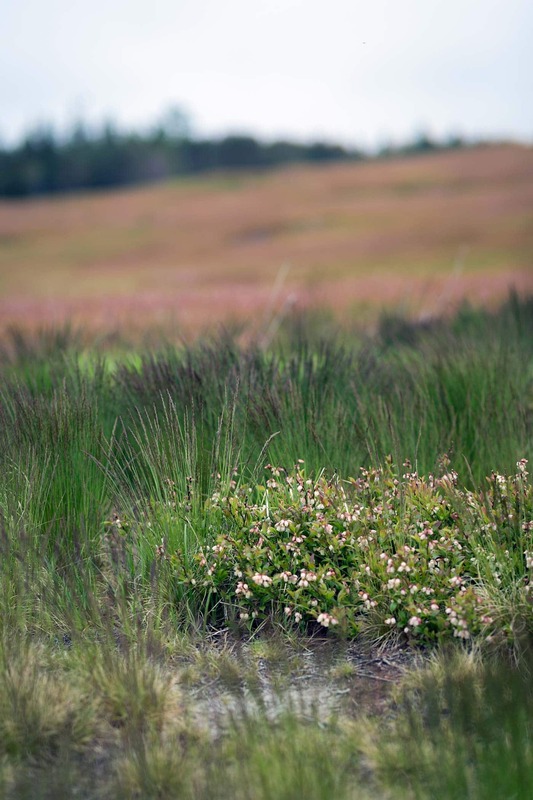 Wild blueberries thrive in specific northern climates with glacial soils like Maine, New Brunswick, Prince Edward Island, and Nova Scotia. Each year, they have a brief harvesting season during late summer. 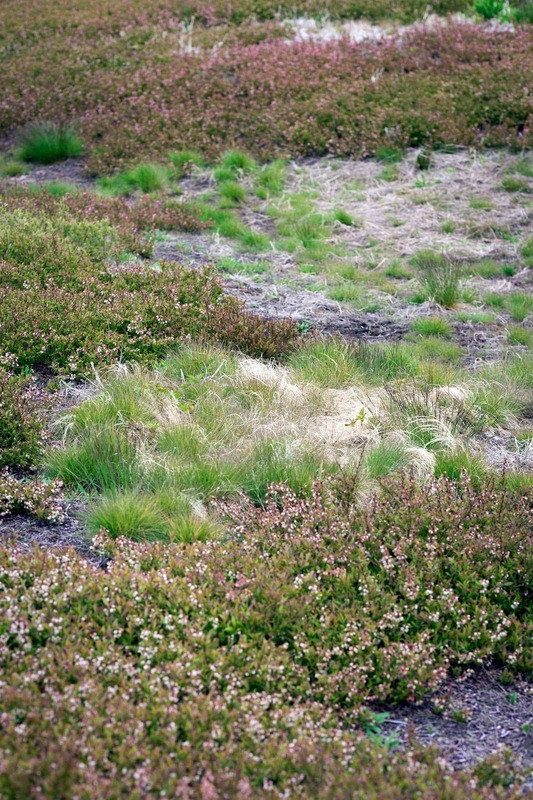 Because of their short harvest season and climate limitations, the majority of wild blueberries are immediately frozen. 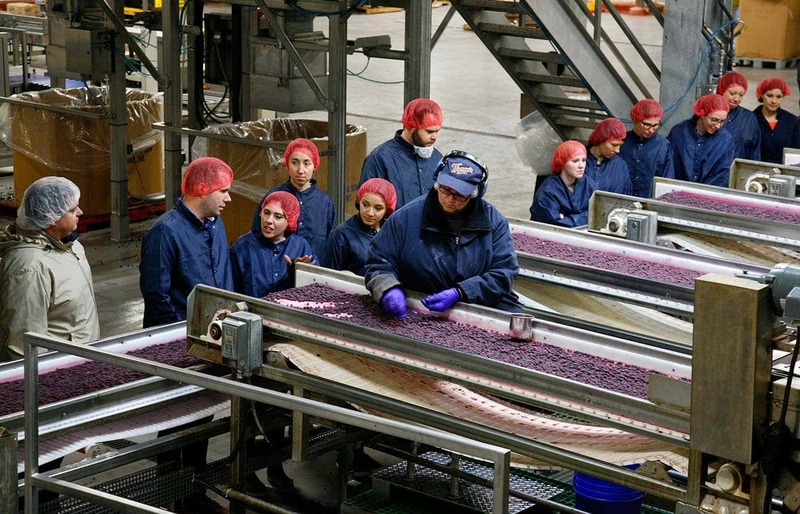 Wyman’s is one of the main national harvesters of wild blueberries, and their factory operations are so smooth and streamlined that the berries are flash frozen at peak freshness. It preserves taste and nutritional value. 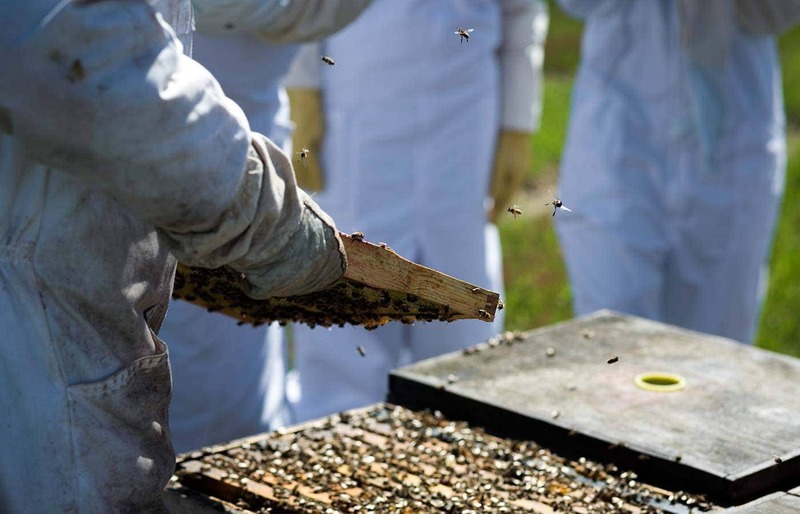 Honeybees play an important role in this harvest, and their diminishing population has put a strain on the industry. 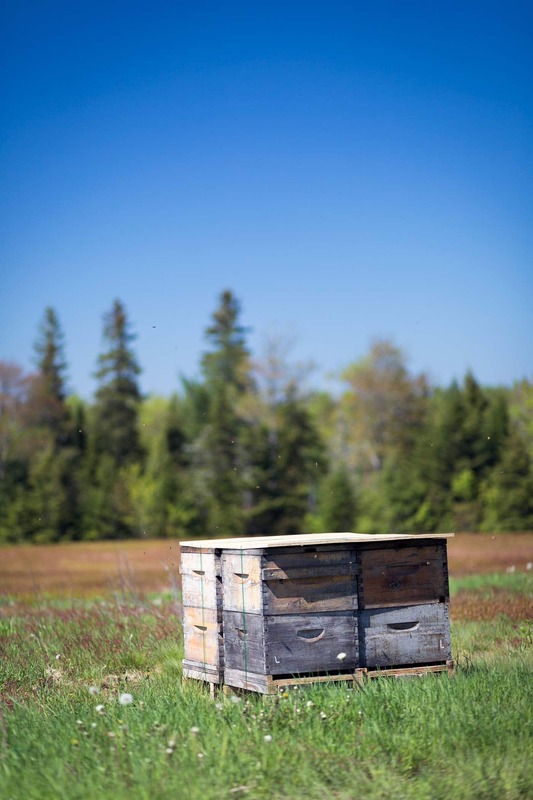 Before heading over to the hives, we were taken on a tour of some wild blueberry fields. They were like nothing I’ve ever seen before; a breathtaking mixture of colors and textures. 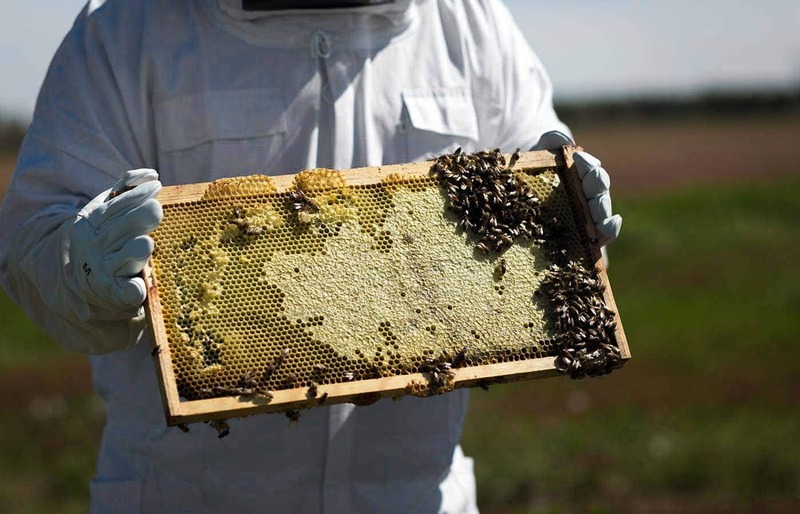 Honeybees pollinate one-third of our nation’s produce. 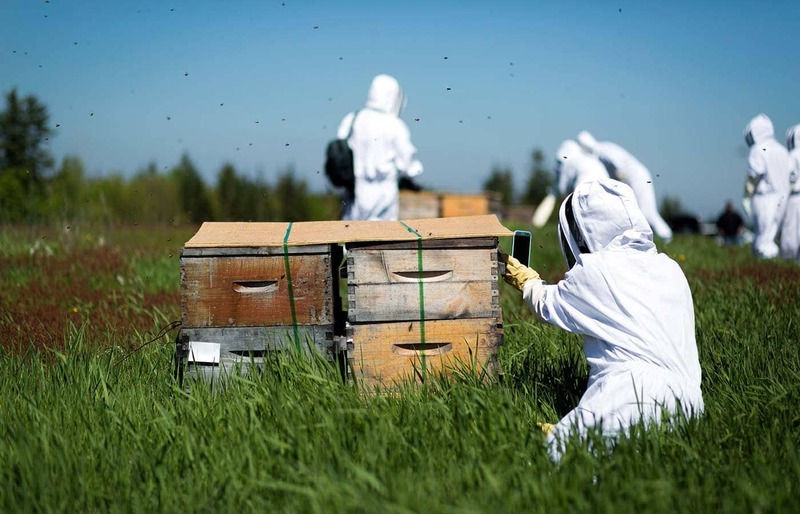 Since wild blueberries aren’t harvested year round, it’s especially critical that the honeybee population continues to thrive. 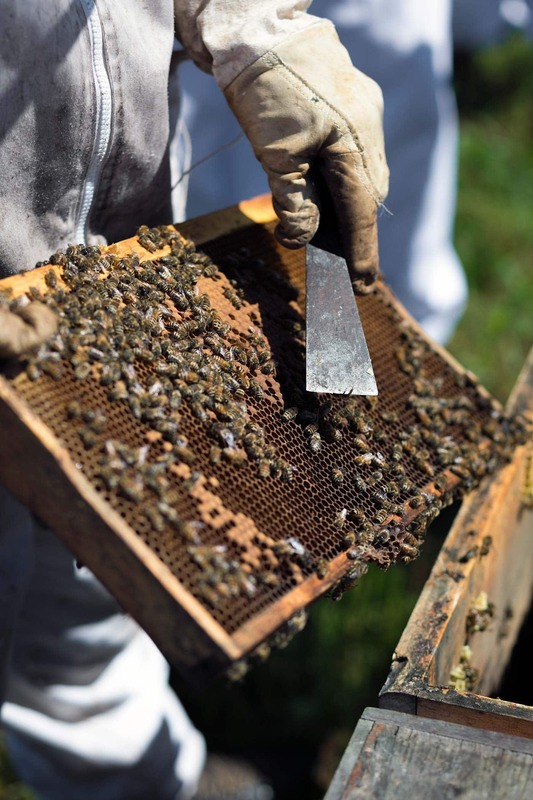 In 2006, Colony Collapse Disorder, the disappearance of honeybees, was first detected. 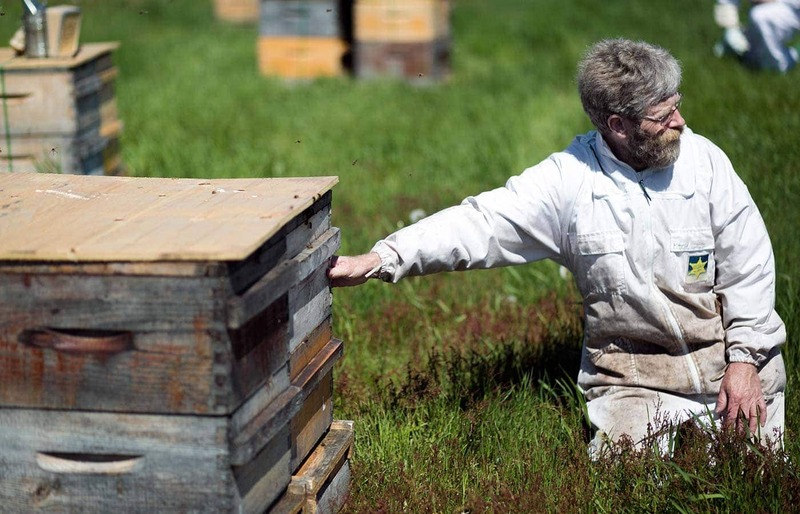 Wyman’s has taken a leading role in the effort to help beekeepers solve CCD, which is a huge thread to the nation’s crops. You can find more information about their efforts here. 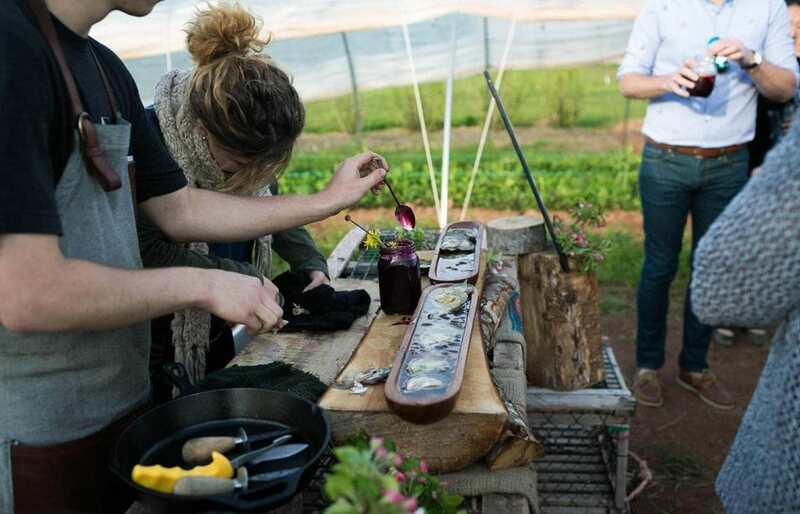 On our final night at the Inn, we were treated to an incredibly fun blueberry-themed meal with Chef Smith. We started with fresh PEI oysters topped with blueberry mignonette (plus an oyster shucking lesson), and blueberry cocktails. Next up were grilled burgers with homemade sourdough buns, homemade pickles and an assortment of toppings. 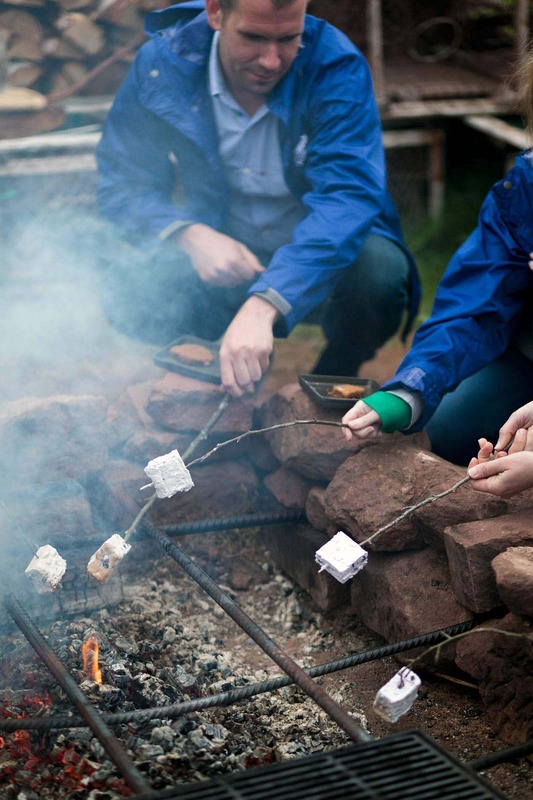 We finished the meal with s’mores, complete with blueberry marshmallows. This tart is perfect for summer. When I served it to friends, they immediately remarked on how light it was. It can be served either chilled or at room temperature. 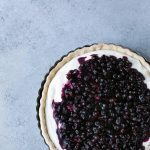 The whipped cream lemon curd filling is fluffy, sweet and tangy, and it pairs well against the textured, wild blueberry topping. A few notes about the recipe: you can save time by using store-bought pie dough and lemon curd. That being said, I recommend making the curd from scratch! It’s not difficult, and it’s delicious. Also, all of the components can be made in advance. However, I would not build the tart more than a few hours before serving, as whipped cream can become unstable and deflate overtime. Check out some of my general tips for working with tart dough. Place the flour and salt in a food processor. Pulse 3-4 times to combine. Add the butter and continue pulsing until the butter is chopped up and the mixture looks like coarse cornmeal. A few larger pieces are fine. With the machine running, swiftly add the cold water. Immediate stop the machine when the dough comes together. Turn the dough out onto plastic wrap and flatten into a thin, round disk. Wrap and place in the refrigerator for at least 30 minutes or up to 3 days. On a light floured surface, roll the dough to approximately 12 inches in diameter. Gently place in the tart pan. If using a fluted pan, use your thumb to gently press the dough into the flutes. Trim away any excess dough, leaving a slight overhang to account for oven shrinkage. Chill for an additional 30 minutes while preheating the oven to 375 degrees F.
Use a fork to prick numerous holes in the bottom and just up the sides of the dough (not all the way through to the pan). Line the pan with foil and weigh down with dried beans. Place on a baking sheet and bake for 20 minutes, or until the tops are firm. Carefully remove the foil and beans, then continue baking for another 10 minutes or until the dough is firm on the bottom. Allow to cool. Remove 1/2 cup of frozen blueberries, and place in the refrigerator to thaw. The cooked berries will lose some of their shape, and these will serve as a garnish. (Note: if making the topping several days in advance, leave these blueberries in the freezer until the day of serving). Place the remaining blueberries, sugar, and lemon zest in a medium-sized saucepan. Stir to combine. Allow the mixture to sit for 15 minutes, giving the blueberries a chance to thaw slightly and macerate with the sugar. Turn the heat to medium. As liquid fills the pan, turn the heat up to high and bring the mixture to a boil, stirring periodically. Reduce the heat to medium-low and simmer, stirring periodically, until the liquid has thickened up, approximately 10 minutes. Allow to cool for 5 minutes, then place in the refrigerator to chill. In a medium-sized saucepan, whisk together the egg, yolks, and sugar until smooth. Place the cornstarch in a small bowl or ramekin and whisk in a small amount of the lemon juice to create a slurry. Add the slurry and remaining lemon juice to the saucepan, and turn the heat to medium. Whisking constantly, cook until the curd has thickened, approximately 5-7 minutes. Remove from the heat and whisk in the butter until the curd is shiny and smooth. Allow to cool for 5 minutes. Transfer to a clean bowl, press plastic wrap directly against the curd to prevent a film from forming, and place in the refrigerator until cold. Once the curd is cold, transfer to a large bowl. Using a spatula, stir vigorously for several seconds to loosen it up. In a separate bowl, whisk the cream until it reaches a stiff peak. Stir approximately 1/3 of the whipped cream into the curd, then fold in the remaining whipped cream until evenly combined. Spread evenly into the tart pan, and top with the prepared blueberry mixture. Sprinkle the reserved 1/2 cup wild blueberries on top. I used a Wilton Nonstick Round Tart Quiche Pan, 9 by 1 1/8 Inch. A 9-inch pie pan (not a deep dish pan) will also work. You can prepare the tart shell, lemon curd, and berry filling up to 3 days in advance. I recommend not adding the whipped cream to the lemon curd or building the tart too far in advance, as whipped cream can deflate after a few hours. 2-3 hours before serving is a safe estimate. Disclaimer: Wyman’s of Maine sent me on a free press trip to Prince Edward Island, but I was not compensated for writing this post. Thank you reading, and for supporting the brands that support Savory Simple! Wow it’s beautiful there, what a fun trip. Great shots! Sounds and looks like a great trip! Love the pics and that tart is amazing! I love the Island and make a point of going there every summer. 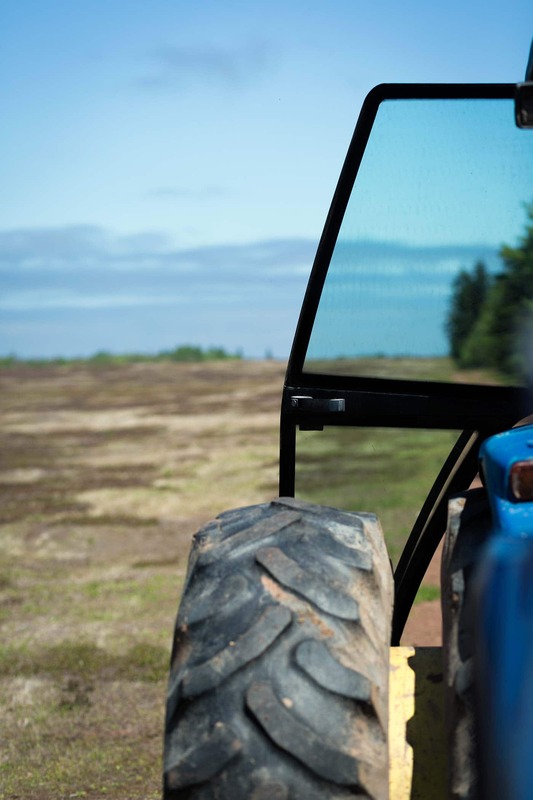 I live on the other side of the Strait in New Brunswick blueberry country, so this recipe will be great :) Did you know that PEI is also home to Paderno? 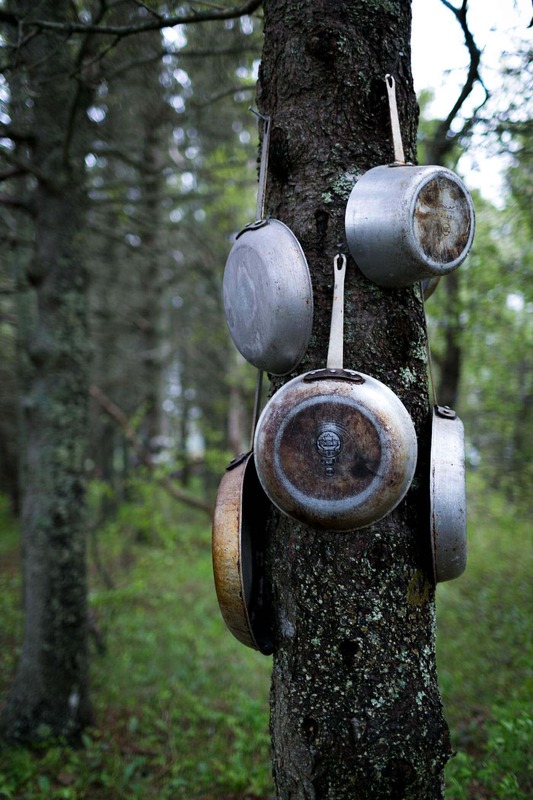 They make my favorite pots, pans and cookware. What lovely photos!! And this tart, whoa bessie!! I need a slice or three! 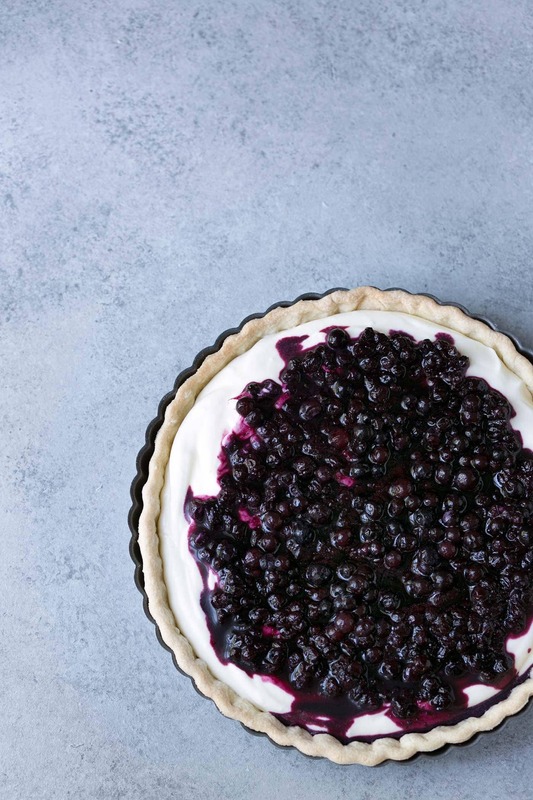 This tart is so stunning, and those Wyman’s wild blueberries are the best. I love knowing where they grow. That blueberry meal sounds like heaven. 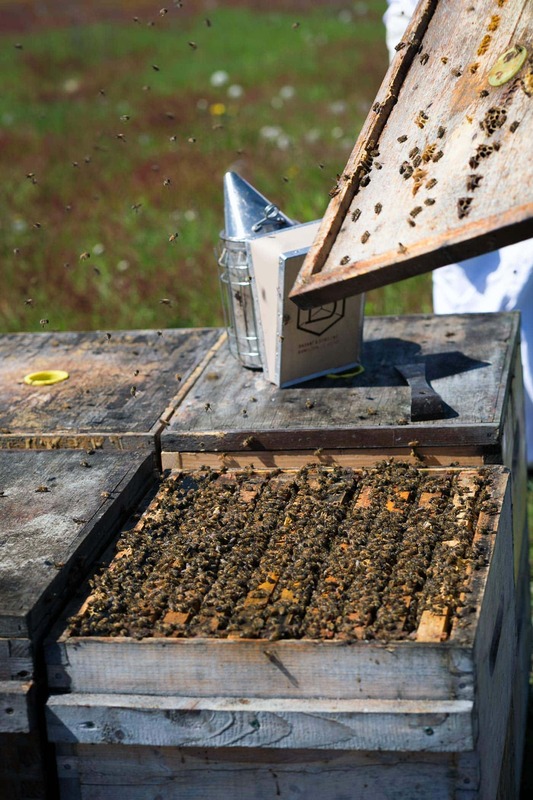 And wow – bees are MAGIC. Ahhhh…this tart is bee-autiful…get it? :) Seriously though…this is going to happen this holiday weekend! Looks like a fun trip! 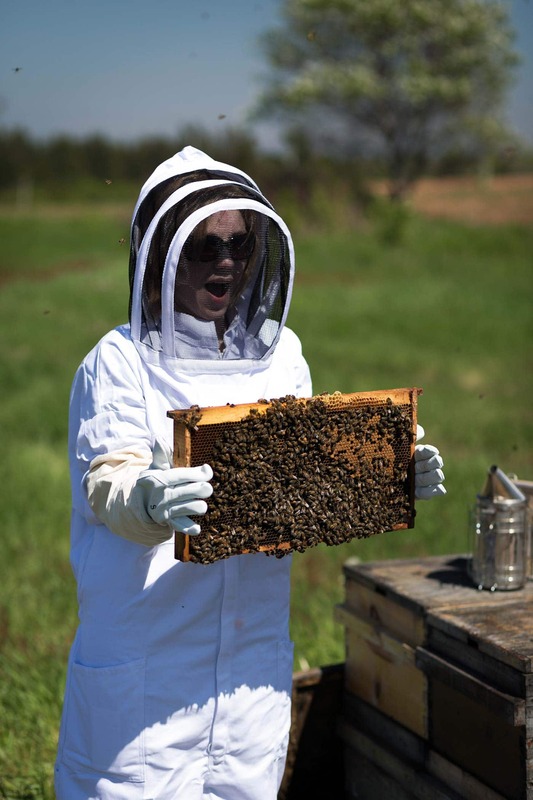 So glad you got to go…and after looking at those pics of the bees…thinking it’s best that I didn’t! Miss you, girl! What an incredible trip! I am a huge fan of Wyman’s wild blueberries and had no clue about their limited availability. It makes them that much better. 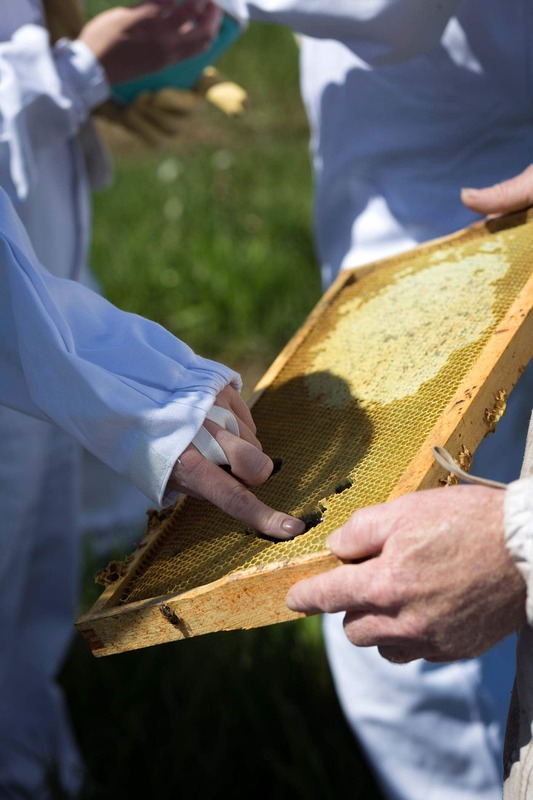 I loved learning about their efforts to help the honeybee population, too! This tart is incredible. It’s something I would love to make for a weeknight dessert. The trip looks like it was so awesome! Love all the pictures. Loving everything about this post!! That Inn is just gorgeous. Makes me miss the East Coast :) We make a lemon cream tart often here at our house (Tartine recipe), and next time, I think I’m going to add this blueberry topping! What a gorgeous tart. 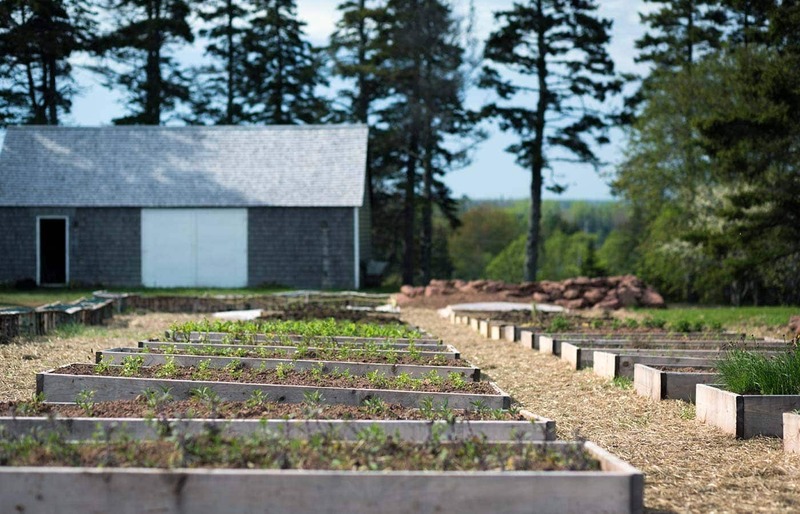 And lucky you getting to go on this trip–My inner Anne of Green Gables would’ve gone nuts being on PEI! :) Though due to a severe allergy to bee stings, I’m better off looking through your photos. I had no idea there was a difference in wild/cultivated blueberries! What a beautiful and informative trip!! I love farm tours for this very reason, getting to know the growers is such an important part of what we do! 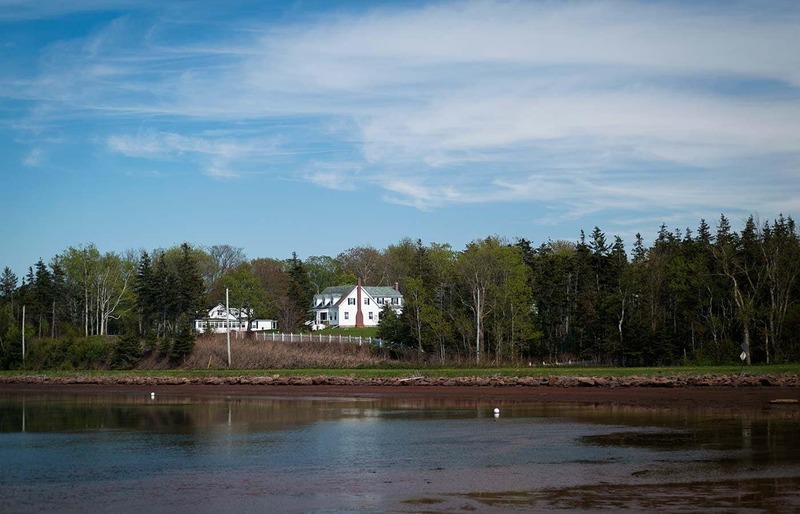 oh my gawd, Jen. . your photos are stunning and captured Prince Edward Island perfectly! I’ve always wanted to visit!! love this post and the blueberry lemon cream tart!! Your travels look like an incredible experience. And that tart, gorgeous! I feel like we need a recipe for blueberry marshmallows! Looks like a fun trip. 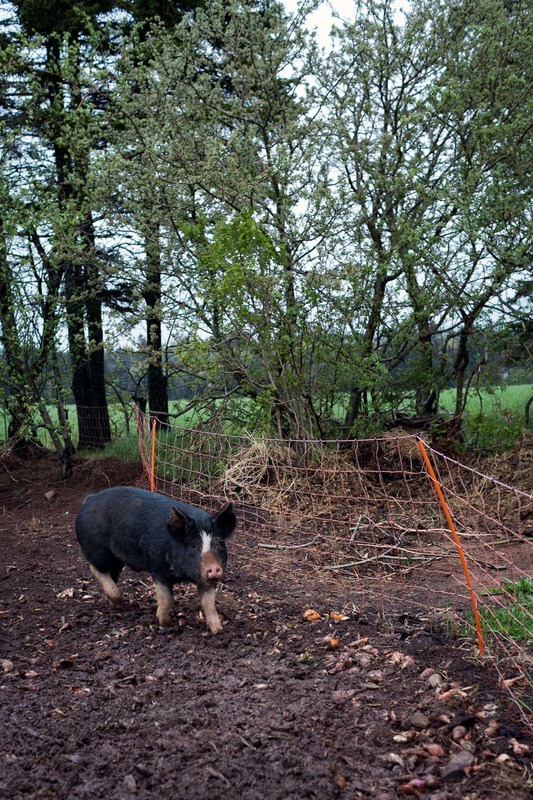 My aunt and uncle once went to PEI and loved it.